CHICAGO, IL, August 17, 2018 — According to a 2009 study by the Rutgers University Food Policy Institute, fewer than 60% of Americans have ever checked their homes for a recalled food item. This suggests that, while many Americans view food recalls as important, they don't believe they're particularly relevant. With food product and ingredient recalls becoming increasingly present in our daily lives, Stop Foodborne Illness presents a basic guide to orient consumers on food recalls. From locating food recall notices to determining whether a recalled product is in your home, Stop Foodborne Illness is bringing back all the basics to help you combat harmful pathogens and keep your family safe. • The manufacturer or distributor may identify the problem and voluntarily inform FSIS or FDA that a potentially unsafe food product has been placed into commerce. • The FSIS, the FDA, or a state or local regulatory agency may discover potentially unsafe food products during sample testing or routine inspections. • Other Federal agencies like the Centers for Disease Control & Prevention (CDC) or Department of Defense (DoD) may report a potential health problem to FSIS or FDA. • Consumers may notify their local public health departments or report directly to FSIS, FDA or another government agency. o Is the recall for whole fresh produce or pre-packaged produce? 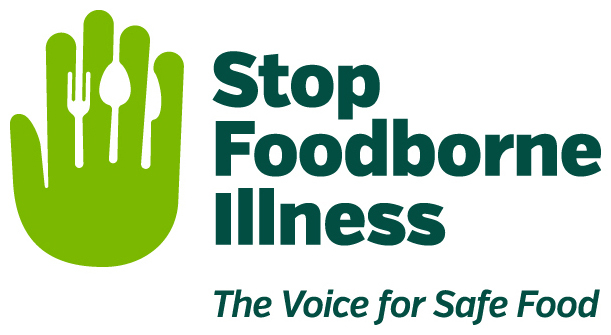 Stop Foodborne Illness is a national nonprofit, public health organization dedicated to preventing illness and death from foodborne pathogens by promoting sound food safety policy and best practices, building public awareness and assisting those impacted by foodborne illness. For more food safety tips please visit http://www.stopfoodborneillness.org/awareness/. If you think you have been sickened from food, contact your local health professional. You may subscribe to receive Stop Foodborne Illness e-Alerts and eNews here: http://www.stopfoodborneillness.org/take-action/sign-up-for-e-alerts/. For questions and personal assistance, please contact Stanley Rutledge, Community Coordinator, at [email protected] or 773-269-6555 x7.